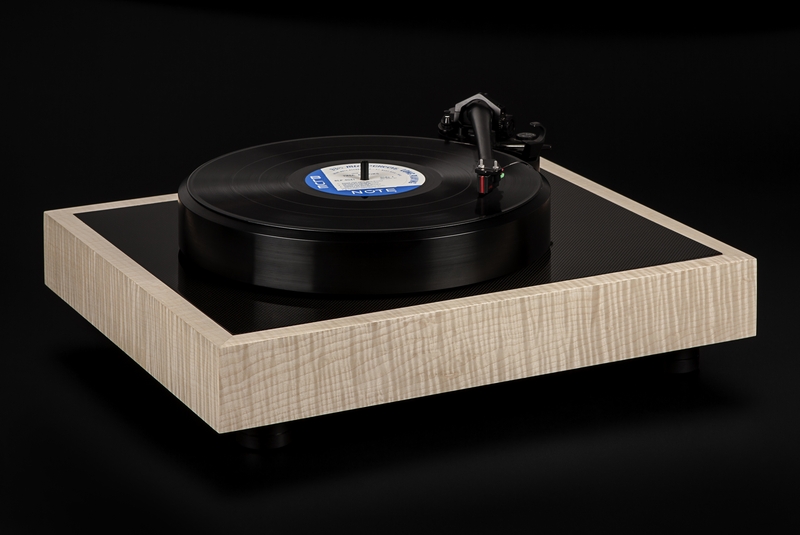 STST are a German Hi-Fi manufacturer which was founded by Stefan Strohmetz in 1985. They make two turntables called Motus and Motus II. These utilise an ‘in house’ designed direct drive motor. The Motus is a ‘fixed’ design whereas the Motus II has the motor & tonearm base mounted on a separate sub-chassis which is carried on a fully sprung suspension system. 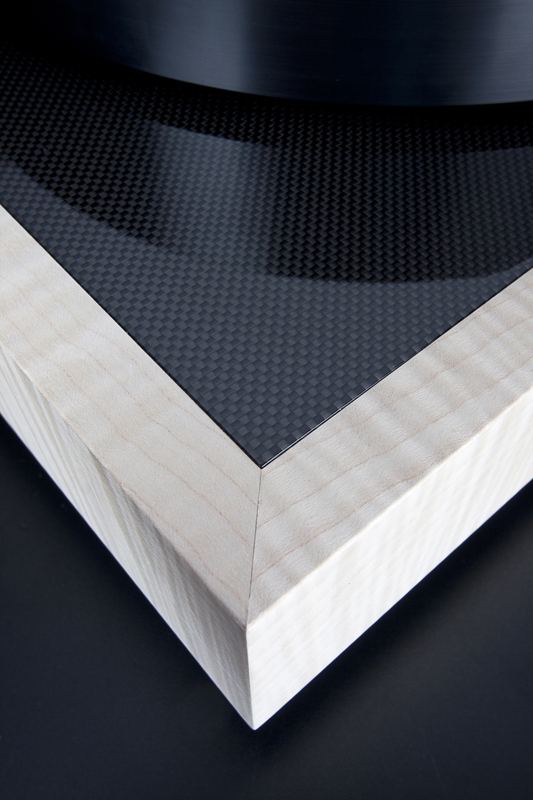 Both models can be supplied in a variety of wood veneered plinths with a choice of matching or contrasting top plates. Each is supplied with a separate small power supply which feeds 18V to the turntable. On board electronics then make 33.33 and 45 RPM available via a small switch located beneath the front edge of the plinth. The turntables come with a 10 year guarantee. STST also manufactures a tonearm called Vertex which is available at 9, 10 or 12” length. 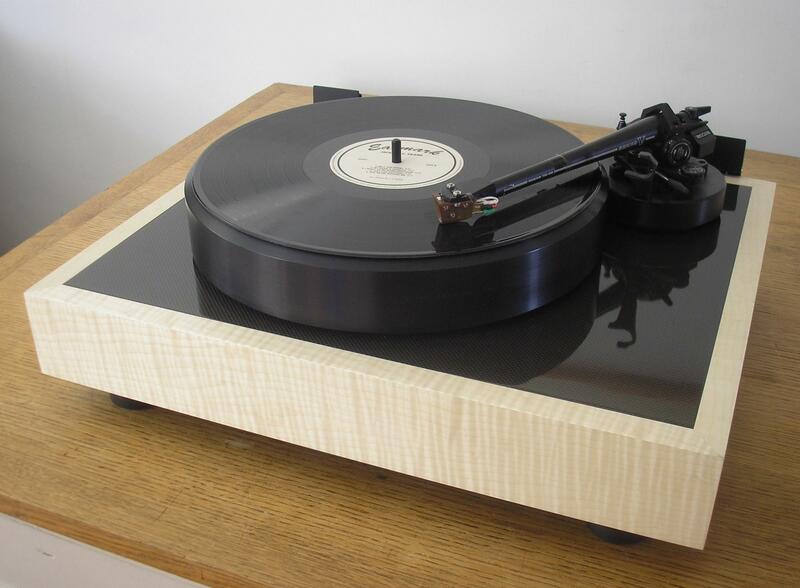 The Motus turntable can be supplied in a larger plinth in order to accommodate 12” tonearms. 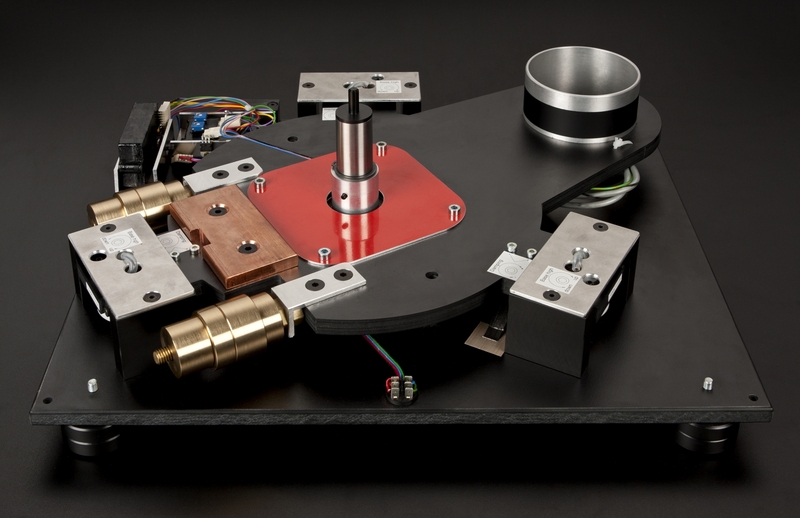 Motus II is generally supplied to take 9 and 10” tonearms. 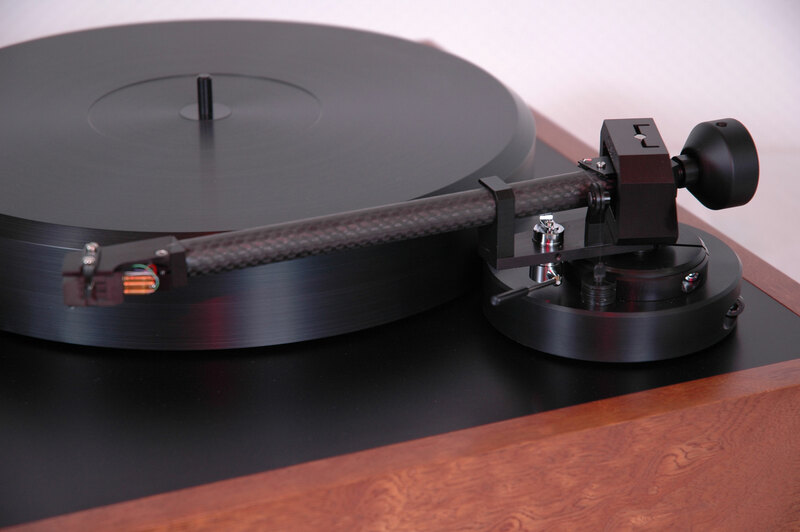 HiFi News published an excellent review of the Motus II and Vertex tonearm in the January 2014 issue. The deck measured very well & Steve Harris, who wrote the subjective part, enjoyed it very much. "... the Motus II gave a sound that had tremendous stability and very 'black' backgrounds, free of any noticeable colourations and with an authoritative and responsive bass..."
The package was accorded their 'Highly Commended' status. There was also a nice review in the German 'LP Magazin' of the unsuspended Motus D and Vertex arm. Please contact us at info@puresound.info for more information or to arrange an audition. Alternatively order directly from our Items for Sale shop although you will need to specify which plinth finish & top plate you desire. You can send an email to advise and to inform us of your location. Delivery may take up to 6 weeks. These are built to order.